Scudder was born into the newspaper business, first darkening the door of The Newtown Bee when his grandfather and great uncle were the owners, and in 1961, following a tour in the Marine Corps and college, returned to town to join his father, who was then the editor and publisher. Upon his father’s retirement, he became editor/publisher of The Bee. His interest in antiques resulted in the founding of Antiques and The Arts Weekly in 1963, first a supplement to The Newtown Bee and in 1974 the publication was mailed out under its own postal permit. Today he still travels the country reporting on and photographing dozens of antiques shows and auctions. He was awarded the Antiques Dealers Association Award of Merit in 2006, one of the highest honors available in the antiques world. 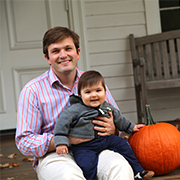 Greg joined Antiques and The Arts Weekly in 2016 following his role as the director of a Connecticut art gallery, a gallery manager for an estate auction house and independent dealer. Greg graduated in 2009 from Villanova University with a degree in Communications and Public Relations. Immediately following, he accepted an invitation to the Peace Corps to work in Water and Sanitation in Honduras. He grew up with antiques all around him and loves to hold things in his hands in a constant effort to understand value, significance and history. 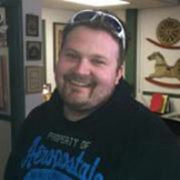 Greg lives with his family in Newtown, Conn.
W.A. 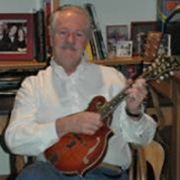 “Will” Demers writes about antiques and the arts and lives to play bluegrass. His passion for prowling antiques shows and auction galleries around New England–documenting the infinite range of what sets collectors’ hearts aflutter–follows a successful career as a corporate communications executive in the high-tech industry. The bluegrass bug is more recent, but Will has been drawn to vintage acoustic stringed instruments and what they can pull from the heart since getting his first guitar in the ninth grade. 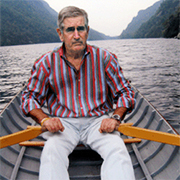 Will majored in English literature at the University of New Hampshire, served as a journalist in the US Army and spent seven years as a civilian editor for travel and leisure publications in Italy and Germany. He now lives in Ridgefield, Conn., with Ann, also a writer, and their three cats. 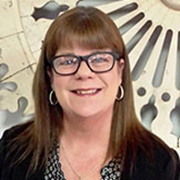 Madelia has worked with antiques for over 20 years, first in the furniture and decorative arts department at Butterfield & Butterfield in San Francisco, near where she grew up. 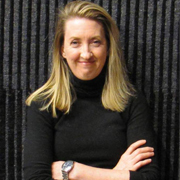 She holds a Master’s in Art History from the University of California and moved to the East Coast in 1999. After completing Sotheby’s Institute’s American Arts Course, she worked for a prominent antiques dealer in Woodbury, Connecticut before joining Christie’s Americana department. She worked as a generalist appraiser at Litchfield County Auctions while she started a family but eventually returned to working in New York City as the Americana specialist at Bonhams. Her research has contributed to several publications on American decorative arts and her writing has been featured in Antiques & Fine Arts. 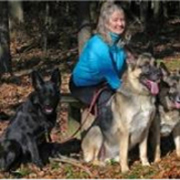 Madelia resides in New Milford, Conn., with her 10-year old son, Connor, and loves cooking and baking, doing yoga and taking long walks in the woods of Litchfield County. Anne has been editing, writing and photographing at Antiques and The Arts Weekly since 2004. With a BA and MA in history, she was senior production editor at Greenwood Press and copywriter at Oxford University Press. Anne is married to photographer Joseph Kugielsky, and their sons are an engineer, an industrial designer and a medical student. Anne treasures her inherited antiques and art by Abe Ajay, Done Nice, Katherine Freund, Joseph Kugielsky, and other contemporary artists. She loves to burrow through offerings at antiques shows, tag sales and junk shops to add to their collection. Recently, an old New York map and two America’s Cup original posters have been found. The search continues. Laura has been writing about art, antiques and design since 1986, when she joined Antiques and The Arts Weekly as its Associate Editor, returning full time to our editorial staff in June of 2014 and again hitting the road with at-large status in 2018. A journalist specializing in antiques, art and design, Laura is the author of The Art of Stephen Huneck (Abrams) and ‘Til Death Do Us Part: Design Sources of Eighteenth Century New England Tombstones (Yale University Art Gallery). Her work has appeared in The New York Times, Architectural Digest, and many other magazines and newspapers. A graduate of Yale College, where she was advised by the noted American decorative arts scholar and teacher Charles F. Montgomery, and Columbia University, she most recently served as deputy editor, special projects at The Magazine Antiques. She was publicist, exhibition coordinator and curatorial intern, respectively, at the Hudson River Museum, Museum of American Folk Art, and the Museum of International Folk Art, a division of the Museum of New Mexico. In 2018, Laura was elected to the Board of Governors of the Decorative Arts Trust. 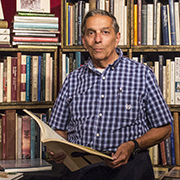 Rick is a retired book dealer who exhibited and sold books at major East Coast antiques shows for about 15 years. He lives in a 1760 house in southern New Hampshire with Charlie, a rescue dog from South Carolina who does not much care for northern winters. Rick inherited a love of antiques from his mother, who was also a dealer. One of his earliest memories of the business is of stripping otherwise good pine furniture. An avid student of history, Rick is especially interested in the formative settlements of Williamsburg and Jamestown in Virginia and, closer to home, the White Mountains of New Hampshire. He created and maintains three websites devoted to the latter: WhiteMountainHistory.org, WhiteMountainPrints.org and LoggingInLincoln.com. Ben has grown up in the family business and officially joined the staff in 2007 as a photo editor. He is a collector of edged weapons from World War II and earlier. Ben is an accomplished network administrator and an important part of his work at Antiques and The Arts Weekly is implementing multi-platform media. Cindie has more than 30 years’ experience in print and online marketing and communications, locally and nationally. Serving as a marketing consultant, she specializes in aligning businesses with a multimedia approach of both print and web advertising to maximize their exposure. Cindie enjoys travel, fishing and the outdoors. Kate joined our team in 2004 to assist with customer service in advertising. To better understand Antiques and The Arts Weekly advertisers’ needs, she earned an Appraisal Certificate (antiques, fine and decorative arts) from Rhode Island School of Design in 2010. She came to us with an art and science background. With a BFA from Nova Scotia College of Art she went on to do graduate work at MIT at the Center for Advanced Visual Studies where she worked on the JPL Voyager Fly By Imaging and the NASA Mars Rovers Mission projects. 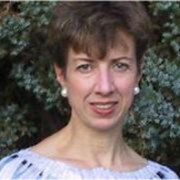 Kate (Kathleen) Eagen Johnson is a freelance museum consultant, lecturer and writer at HistoryConsulting.com. 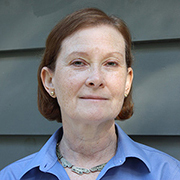 Her articles have appeared in Antiques & the Arts Weekly, The Magazine Antiques, Connecticut Explored and The 2012 East Side Settlement Winter Antiques Show Catalog among other publications. 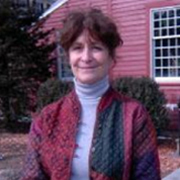 From 1993 to 2011, she served as Curator and Director of Collections at Historic Hudson Valley, Tarrytown, NY where she penned exhibition catalogs and catalog essays, site guidebooks, online programs, articles and book reviews. Kate’s book The Hudson Fulton Celebration: New York’s River Festival of 1909 and the Making of a Metropolis won the New York City Book Award for History in 2009-10. She lives in Columbia County, NY with her bookseller husband Greg. Tom has been writing for Antiques and The Arts Weekly for more than ten years, covering events from Maine to Texas and sometimes Europe. 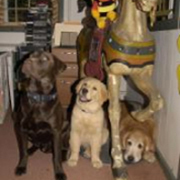 An antiques dealer in Sharon, Conn., he exhibits around the country and began trading antiques as a pre-teen when he bought at New England auctions to sell to family and a few area dealers in the 1950s. He began writing about 25 years ago in various trade journals on building/construction techniques and innovations. 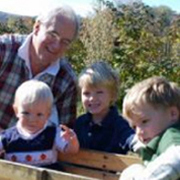 His recreation includes time with his ten grandchildren – nine boys and one girl – all living within 100 miles of home. The Dogs of The Bee Publishing Co.
Four footed staff members include golden retriever Rose, who is particularly good at delivering Fed Ex packages from reception to our Antiques and The Arts Weekly advertising office; Tique, a chocolate Labrador retriever who is a wonderful tennis ball chaser; and Yorkshire terrier An (not pictured), Tique’s counterpart (An-Tique), who is fond of providing therapy for any family member or staffer who needs to hold something small and furry in their arms. The youngest member of our dog team is golden retriever Piper, whose principal occupation is mooching handouts from Scudder and anyone else with spare lunch, as well as modeling for “Piper’s Picks” advertisements in Antiques and The Arts Weekly.